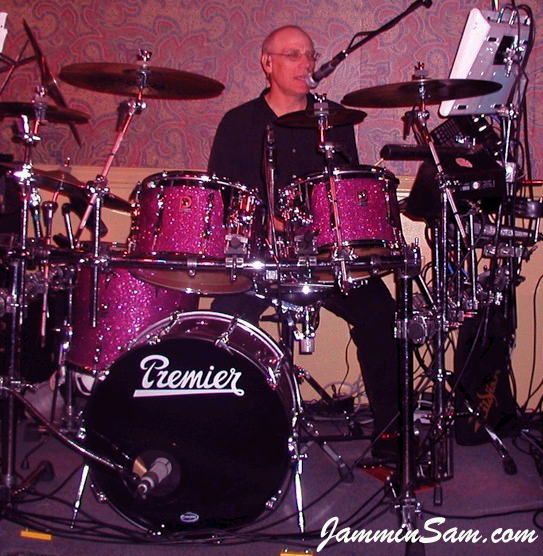 Picture sent in (November 2003) by Dan Hertlein of Antioch, California; of his Premier drum set. Awesome work Dan! Note: See Dan’s Turquoise glass kit under that section.